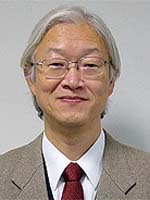 Dr. Shogo Nakamura is a Professor at University Toyama, Japan. Dr. Shogo Nakamura is specialized in Environmental Biology, Environmental Microbiology and Marine Biology. Dr. Shogo Nakamura has 5 ongoing collaborative research projects in the areas of bioremediation by various fungi, marine aquaculture systems, exploration for periphyton repellent substances, bio-monitoring using micro-algae. Dr. Shogo Nakamura's research interests are Environmental Biology and Microbiology, Distribution and function of microorganisms in the biosphere, and their utilization of human society.